Fully protect your valuables from the weather with this enclosure kit from Shelter Logic. 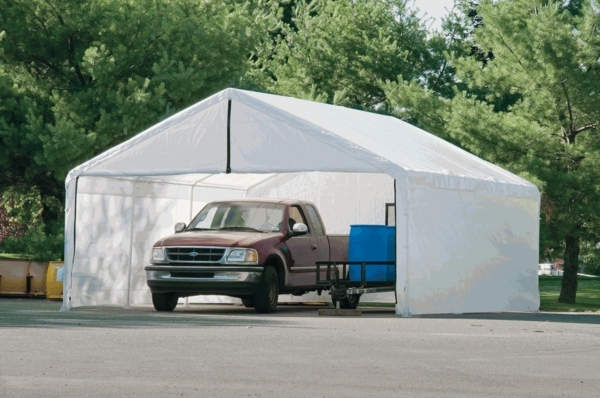 Add these polyethylene panels to your 18-by-20-foot canopy to create a shelter that is completely enclosed. The 3-layer fabric is waterproof and UV treated to protect your valuables from water and sun damage. Each kit includes one solid rear panel, a double zippered front door panel, two side walls, and bungee cords. With quality materials and a one-year warranty, you can be sure that this enclosure kit will provide the protection for your outdoor storage needs.